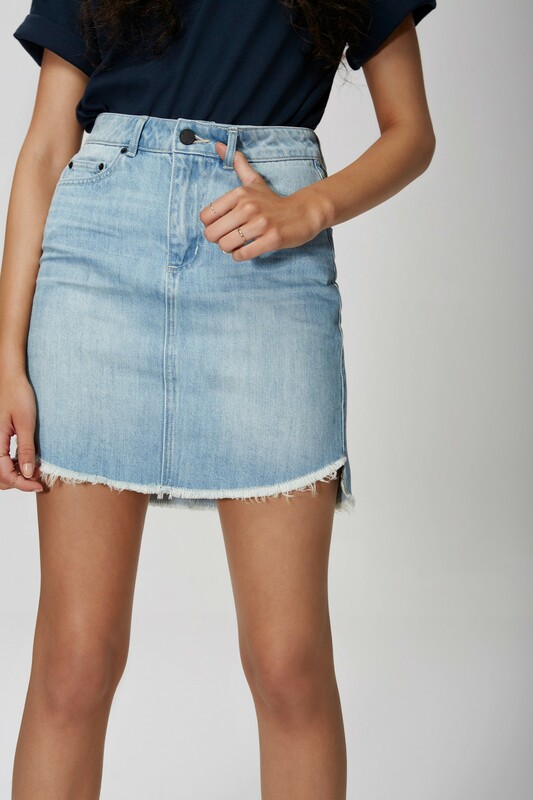 The light-washed denim skirt of our literal dreams! 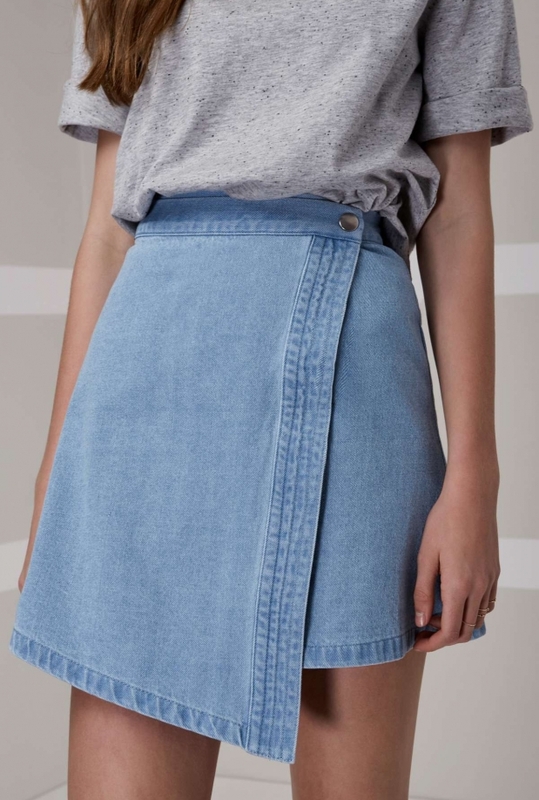 Not too short and not too long, we have been loving the fit, feel and length of this high-waisted skirt. 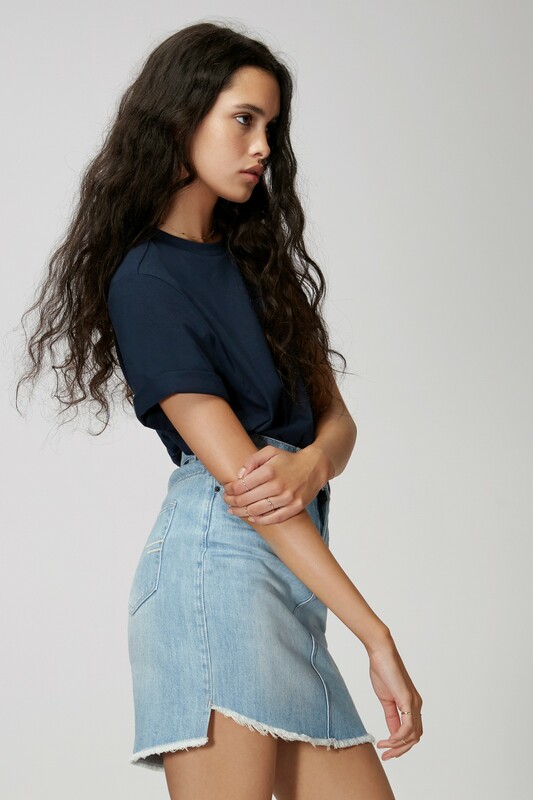 It’s frayed hem is right on trend, yet won’t go out of style and the hem finish is short at the front and long at the back. 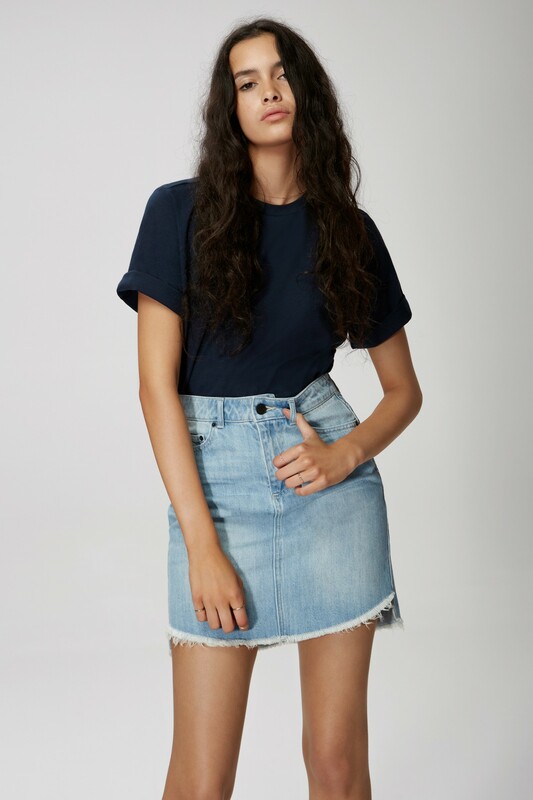 Because this is fitted skirt is made up of crisp non-stretch denim, we recommend going up a size. 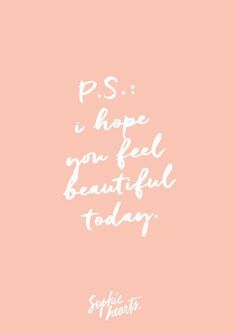 Waist: 26", Hip: 33", Length: 16"-17"
Waist: 27", Hip: 34", Length: 16"-17"
Waist: 28", Hip: 35", Length: 17"-18"
Waist: 29", Hip: 36", Length: 17"-18"
Waist: 30", Hip: 37", Length: 17"-18"
Waist: 31", Hip: 38", Length: 17"-18"